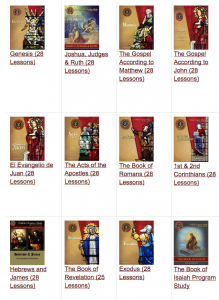 For a great Bible Study program for individuals and groups, for novices and veterans, click here. In just over one month our nation heads to the polls with perhaps the starkest choice for President that there has ever been. First, Catholics are called to actively form their consciences in the truths of natural law and the wisdom of the Magisterial teachings of the Catholic Church. Second, Catholics are called to vote, as a matter of moral and civic duty, in accordance with a well-formed conscience. 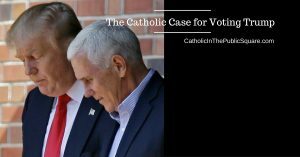 Some Catholics defend voting for one of the major party candidates because he or she is “the lesser of the two evils.” The problem with this approach is that choosing the lesser of the two evils is not truly a Catholic perspective. We must never choose evil of any quantity. The ends never justify the means. We are always called to choose the good, so it is true that a choice between evil and evil is no choice at all. But is this really the reality we are facing as voters? 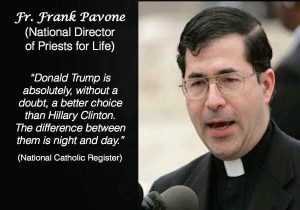 Some Catholics believe the two major Presidential candidates are so incredibly evil that one cannot in good conscience vote for either. But are Clinton and Trump devoid of all goodness? I would hope that even the most ardent supporter of one could look at the other candidate and their platform and find something good therein. It is as silly to argue that these two human beings are perfectly evil as it is to argue that they are perfectly good. Rather than asking who is more evil, the truly Catholic approach is to enter into the opposite perspective of seeking who is more good. Rather than voting for the lesser of the two evils, we can and should be voting for the greater of the two goods. To do this we must look carefully at their different platforms and positions in order to reasonably consider the two very different outcomes of each candidate being elected. With those different outcomes in mind, we must then ask who is best for the nation and vote for the greatest good. 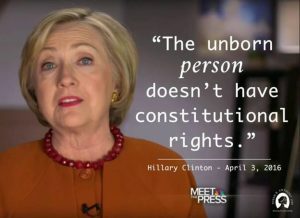 A rightly formed Catholic conscience understands that we are not single issue voters, we care and have a stake in just about every issue you can think of, but we are voters who assign varying degrees of importance to each issue and there is no issue of greater weight in our time than the legalized killing of innocent unborn children known as abortion. This position is clear, unwavering, and essential for a well-formed Catholic conscience. Human life is sacred and every right we have is based on the right to life. Please pass this along to friends, family, Facebook, etc. The differences are “day and night” and I hope as Catholics we rise to the occasion. Another good article on the difference between Trump and Clinton here.